Ideas about the life you want to live. Keep blood sugar levels stable: eat enough protein and healthy fats and not too many carbohydrates. Besides that, there are several gastritis-specific things I’ve discovered that work for me. There are plenty of vegetables that I don’t eat in large amounts because they irritate my stomach. For instance, lettuce, raw spinach, raw kale, raw tomatoes, and raw peppers. Instead, I eat vegetables that I can handle well, such as cucumbers, zucchini, mushrooms, bok choy, broccoli, cauliflower, etc. Raw food is more difficult for the stomach to process, and for someone with gastritis raw food can be problematic. For this reason, unfortunately, salads usually aren’t a good idea unless they contain lots of protein and lots of cooked veggies in addition to some raw greens. I mostly steam my vegetables, which means that they are cooked and my stomach can process them without getting irritated, but because the vegetables weren’t boiled in water, they still retain the majority of their vitamins and minerals. 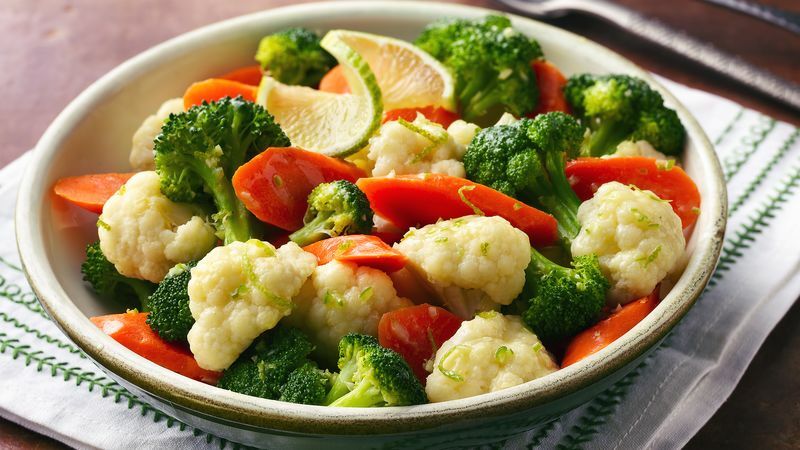 Steamed vegetables have become my (almost) best friend! Ah, I love fruit and I wish I could eat more of it, but I just don’t do well with it. There are two main issues with fruit: either they spike my blood sugar and give me a sugar dip or they irritate my stomach. On the one hand, if a fruit is nice and starchy such as a banana or a mango, my stomach can handle it well, but then I get a sugar dip, intense hunger, and strong gastritis pain again. On the other hand, if a fruit is more fibrous such as an apple or a pear, it irritates my stomach and it gives me pain. Citrous fruits such as oranges or grapefruit are an absolute no-no because they irritate my stomach a lot and immediately give me pain. So it may not come as a surprise that I don’t eat many fruits. From time to time I have peaches, apricots, cherries, or mango since those are my favorites, but I eat them rarely. If I do eat them, I treat that as a dessert or I try to have some source of protein with them, so they don’t spike my blood sugar too much. But I consider them more of an indulgence than a staple food in my diet. In case you’re concerned that I am not getting enough nutrients by avoiding fruits, don’t worry: I eat plenty of vegetables with every meal, and those are very high in nutrients. Nuts and seeds are a versatile snack, and I used to eat them in between meals, but they irritate my stomach. In fact, I used to eat almonds with an apple, but my stomach really didn’t like that. Nuts and seeds are difficult for the stomach to process, and they easily irritate one’s gastritis. For that reason, I’ve brought them to a minimum for now. Sometimes I have brazil nuts or almonds with an avocado or cucumber, but it’s not a staple snack. Grains are a topic of huge discussion now, and I am not claiming that gluten is everyone’s enemy, but I have noticed that I do better without grains. White bread and pasta are low in nutrients but relatively high in calories, so I don’t see why I should eat them. Whole grains and whole-grain pasta are richer in nutrients, but because of their “whole-graininess” they are more difficult to process for the stomach and they give me pain. Also, fresh vegetables still have way more nutrients than whole grains, so I am not worried that I am missing out on anything by avoiding grains. I feel a lot better having excluded them from my diet. Duh. This should be an obvious one. There are so many things in junk food that irritate even a healthy person’s stomach that for someone with gastritis it should be a clear choice to avoid that. Enough said. 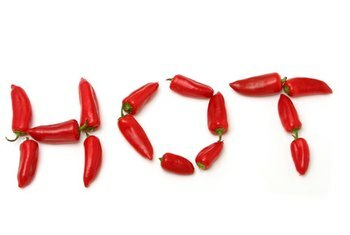 Spicy (as in “hot”) foods really irritate the stomach, and they make my gastritis hurt so bad it’s difficult to explain… It’s a pretty clear choice to avoid those. Spicy food is a definite no-no. Fried food also irritates the stomach, so anyone with gastritis should avoid it. Especially deep fried food is really irritating in this case, which is unfortunate because it is so delicious. For me, it doesn’t cause as much pain as spicy food, but it’s still pretty unpleasant. This refers to mainly salads with lots of vinegar or lemon juice. As tasty as those may be (to some people; luckily for me, I never liked vinegar very much), they make my stomach hurt very much. I can tolerate a liiiiiitle bit of lemon juice but not more. Ah, yes… This is a tough one. In the past, I could feel my gastritis hurt after even a single glass of wine. Still, I couldn’t imagine not drinking in certain social situations, so I kept on doing it. A little over a year ago, I stopped drinking altogether. I feel so much better and my stomach is doing so well, it’s actually uncomparable. I know it may be a difficult change to make, but it’s worth it. Even if you don’t quit alcohol altogether, it is a good idea to reduce the amount of alcohol you consume if you’re trying to heal your gastritis. Coffee also irritates the stomach, so it may be tough on someone with gastritis. Strong teas such as black teas can also be irritating. I don’t drink coffee, so that wasn’t a particular problem for me, but I have a little bit of an issue with strong black teas. For that reason, I drink mostly green tea and usually after a meal. Some specific herbal infusions can be really soothing to the stomach. My personal favorites are herbal infusions with licorice or ginger. They taste amazing and they soothe my gastritis if it was irritated. I really enjoy those types of drinks. Turmeric (a.k.a. 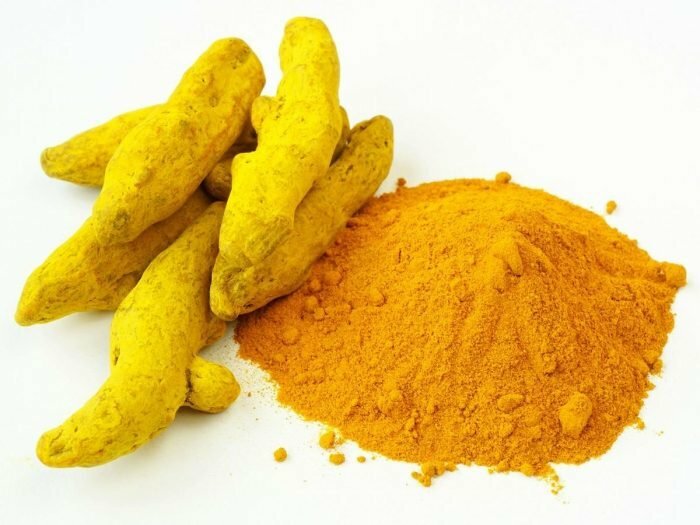 curcuma) is highly anti-inflammatory and is helpful in many respects, but I’ve found it to be particularly helpful with gastritis. It really has done wonders for me! I used to take 3 tablets a day when I started the treatment, and now I take 1 tablet a day mostly for good measure because of its amazing healing and anti-inflammatory properties. 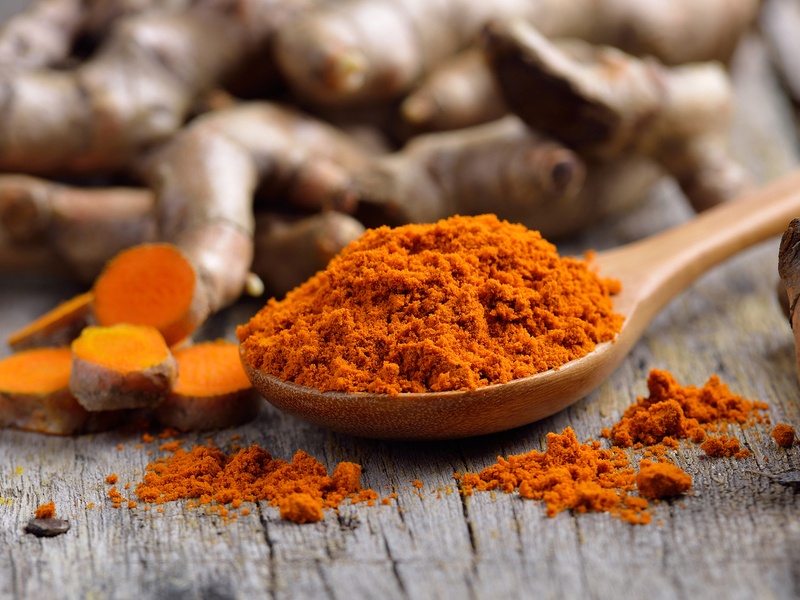 Turmeric is available as a spice in any supermarket, but I recommend getting it as a high-quality supplement because then it’s much more potent as an anti-inflammatory aid. I highly recommend turmeric as an anti-inflammatory aid to heal gastritis. L-glutamine is an amino acid that helps in the repair of tissues. Bodybuilders and fitness enthusiasts take it to aid the recovery of their muscles after training, but for someone with gastritis it’s useful regardless of whether they train or not. The best way I’ve found so far to take L-glutamine is to put it in my water bottle and sip it throughout the day. I put one heaped teaspoon of L-glutamine in 500 – 750 ml of water and shake the water bottle well. When I started the treatment, I was having about 5 teaspoons of L-glutamine per day, while now I have about 2, mostly for maintenance (and because I like the taste 🙂 ). It is very helpful for healing gastritis, and as an added bonus it makes water taste great! There you have it! All of my suggestions about what worked for me in healing my gastritis. I hope you try some of them! In the next blog post I will cover other things I’ve tried for gastritis that didn’t work for me but might work for you. Happy birthday to me and a question for you! Marisha is a PhD candidate at the Donders Centre for Cognitive Neuroimaging. She researches how our experience with the environment changes the way we perceive the world and affects the way our brain processes information. Marisha likes to think and write about what makes a good life, work-life balance, productivity, and health.